EASTER GOODIES ARE NOW AVAILABLE IN THE STRAND AND FACTORY SHOP!! HEALTHY NEWS: Nuts are the Key to a healthier, happier and longer life!! New Season 2017 stock!Victorian Walnuts in Shell,direct from King Valley. These are an absolute tr..
Freshly roasted Coconut, hand dipped in pure Milk Chocolate (Cocoa solids 28%). Made in Austra..
A combination of The Nut Shop's most popular products in one gift box. From Left to Right: Cho..
A combination of our most popular savoury products, perfect for those without a sweet tooth. S.. The Best of Macadamia Gift Pack, containing Milk Chocolate Macadamias, Salted Whole Macadamias and C..
Crystalised Ginger grown in Queensland, Australia. Great for baking, as an addition to a cheese plat.. Dried Cranberries are a great snack, addition to muesli or ingredient for baking. Product of USA, pa.. Dried Incaberries are the super fruit of South America, extremely high in fibre. A great addition to.. These walnuts in shell come directly from King Valley in Victoria's High Country. These delicious nuts are packed full of nutrients and make for an exquisite snack. 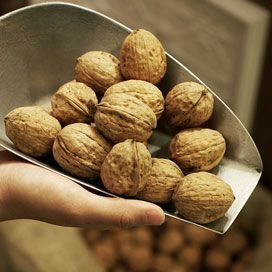 Check out KingValley Walnuts for more information. The Nut Shop is a wholly Australian owned and operated family business, based in Sydney since 1940.Committed to sourcing the highest quality nuts from Australian farmers, The Nut Shop manufactures all products to order in their factory in Sydney’s Waterloo.